Learn the difference between intercession and supplication and how prayer based on God’s Word can change nations. Supplication and Intercession: What’s the Difference? When it comes to supplication and intercession, many believers are misinformed. And some have unduly emphasized one kind of prayer over another. 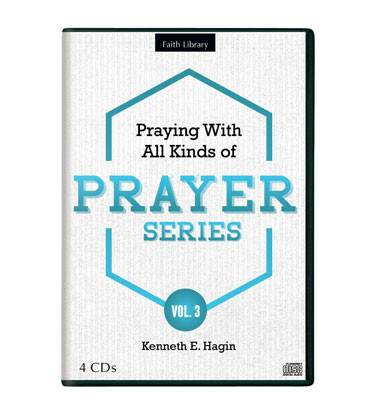 In Volume 3 of this multi-volume teaching, Kenneth E. Hagin stands solidly on the Scriptures to explain the difference between these two kinds of prayer. He teaches us how to supplicate for our own needs and those of other believers. And he discusses how to intercede on behalf of our nation and its leaders to see God’s will be done. God desires to move on the earth today. And when believers pray according to His Word, supernatural answers come!